A new C64 game with an entirely unique play style has been released (as download only) by Cogitare Computing. Each of the 12 (tricky!) levels of the game are completely different. There’s a trick to every level for you to figure out. We feel that Counterweight Kate is worth every bit of it’s small price of 1 dollar. In 2017 we have seen so many high quality C64 releases – last time this was the case was in the 90s! Maybe you have caught fire as well and you want to make a great new C64 game yourself now? If so, the book „Retro Game Dev C64 Edition“ (which was also released in 2017) is just for you. Derek Morris helps to get into modern C64 game programming easily. By implementing two tiny micro games that you will program with this book, you’ll learn step by step how to use CBM prg Studio, hardware & software sprites, sprite character animation and so on. The book is available from Amazon and is a must have for any upcoming game maker. 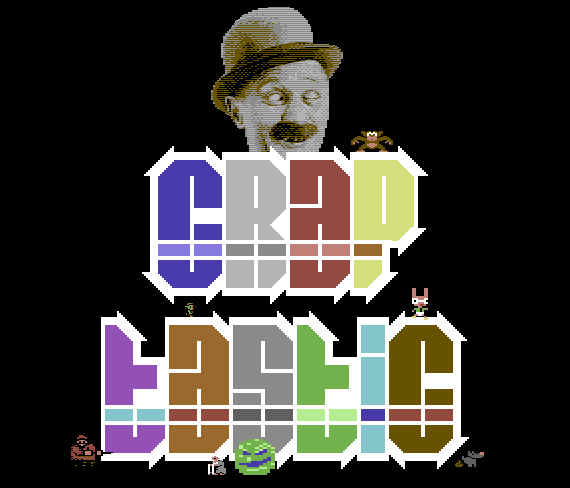 The annual Reset64 4KB ‘Craptastic’ Game Competition by Reset Magazine has started. The rules and how to sign up have been published on The Australian Retro Gamer E-Zine page AUSRETROGAMER. Two great new games are now available from Psytronik for preordering, however the digital version of the games are supplied directly. Steel Ranger is Covert BitOps‘ new shooting action game. As usual with CO, it comes with a well scripted storyline and cunning game design. Pains’n’Aches is a sequel to Knight’n’Grail and also feels similar in gameplay. It has a minimalistic style and is story driven as well. 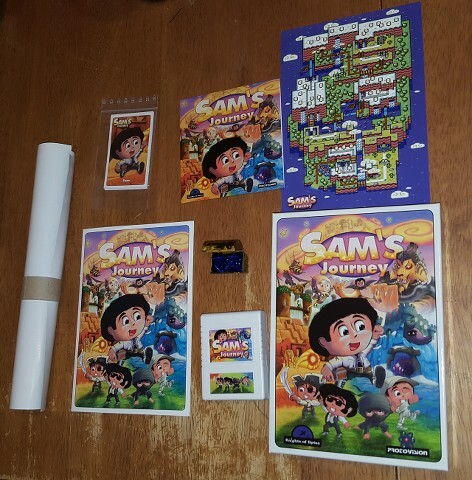 We have seen the first Sam’s Journey boxes at our customers‘! Also dozens of unboxing and play videos can be found in the net. Thank you so much… after the long time we have invested into Sam, it is wonderful to now see it through the eyes of our customers. 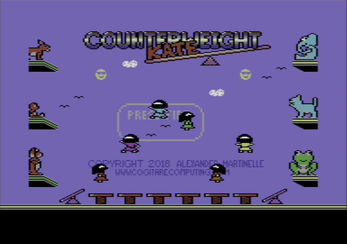 Paul Koller’s latest C64 demake. 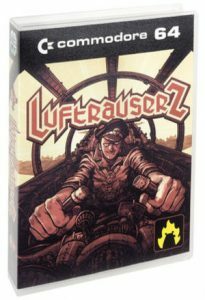 The game features quite stunning air battles with clever trickery to produce a very smooth and fast all directional scrolling and supernice generated clouds in between mischievous enemy airplanes. Argus is now available at Psytronik. The game has an interesting design and user interface as you step through a fake 3D world. Sadly, the collectable items are not explained in the manual. Also available now is the brilliant C16 & C64 game Slipstream. 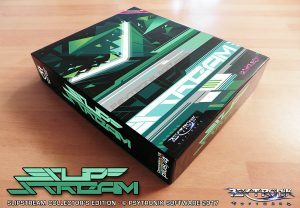 It also introduced new boxes from Psytronik – now they also have fully printed carboard boxes. NEWS FROM THE C64 SCENE: Thalamus Hunter’s Moon Remastered: funded! Thalamus is really back in business! Their first Kickstarter project – Hunter’s Moon Remastered – has been a great success! As numerous stretch goals were reached – including new types of levels, a new intro/outro sequence and an illustrated manual – the game will not be released in Febuary as initially planned, but it will take a bit more time to complete all the extras. Protovision is the official and exclusive after sales partner of Thalamus, so if you missed out on the Kickstarter, don’t worry! You will be able to buy Hunter’s Moon from the Protovision shop in the future. 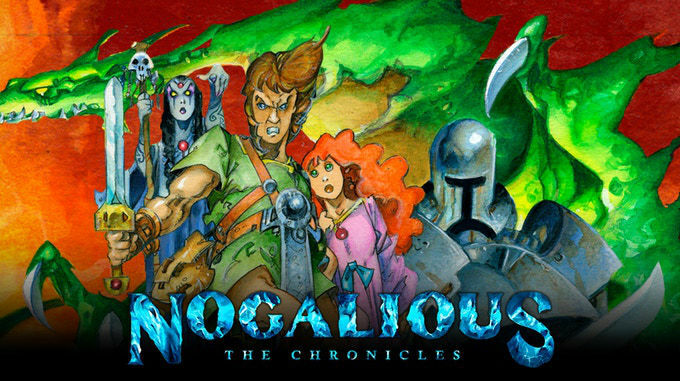 Nogalious The Chronicles is an ambitious action game project for multiple platforms, including the C64, MSX, Spectrum and CPC. The game is currently available on cassette, cartridge or in digital format for the Commodore C64.